Liverpool reached the knockout stages as they beat Huddersfield Town 6-2 to win Group G with a match to spare. Ben Woodburn was integral to their blistering start, first the 17-year-old chipped in the opener before beating a defender with quick feet before setting up Matty Virtue to tap in Liverpool’s second on 22 minutes. 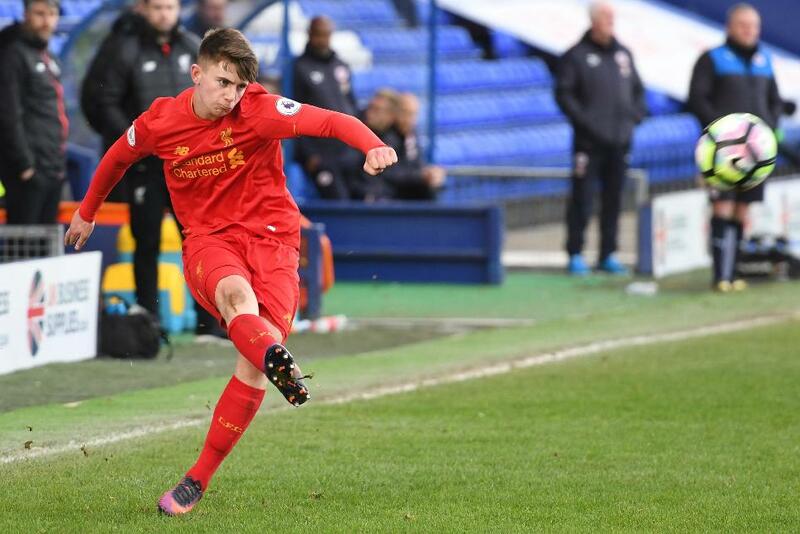 Harry Wilson made it 3-0 after Woodburn’s effort was saved, Sheyi Ojo added a fourth before Wilson struck again in the second half. Olly Dyson scored twice in reply for Huddersifield, who had Jamie Spencer sent off and conceded sixth when Woodburn rifled in his second late on. Liverpool are seven points clear of second-placed Huddersfield and they finish Group G with a trip to West Bromwich Albion on Tuesday 28 February. The Terriers host Ipswich Town two days earlier.